FAM - Fight Against Malaria – was a project for making and distributing packages of medicine, containing not just medication for malaria, but also medication for other common diseases. Furthermore, the project aimed to make sure that the mosquito nets, insecticides and mosquito coals that are distributed in the capital will become accessible to those living in rural areas. In addition, the team realised that education is imperative in preventing malaria and other diseases that affect the village. An agreement with local pharmacies to fill a box with medication every three months for at least a year was made. In 2014 it was found that 11.49% of the population of Niger died as a result of malaria. This number is still on the rise. The root of this problems stems from two factors, first, the lack of education and proper action taken, and second, the inadequate treatment of those infected with malaria. Additionally, the government’s action to address and tackle the problem is minimal. There is no vaccination to prevent people from contracting malaria, and hence, the work to fight against malaria is made all the more difficult. 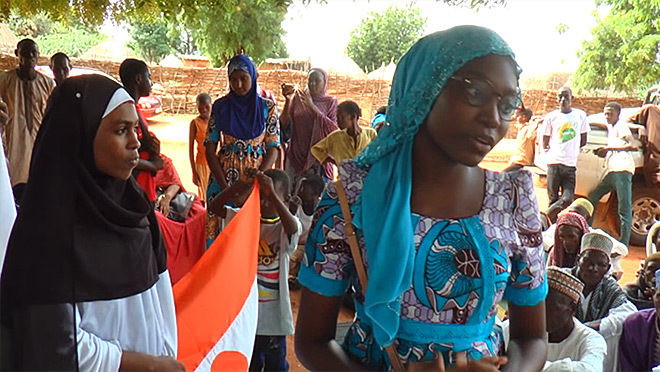 Although the government distributes mosquito nets and insecticides for free in Niamey, the capital of Niger. There is a question of whether or not this is fully accessible to those in the rural areas of Niger. More importantly, the lack of access to medication for those who have already contracted the disease makes the situation much more precarious. The village of Bara is located in the west of the country. It is about five hours away from the capital. Its population consists mainly of three ethnic groups: peul, hausa, and djerma. The government has made an infirmary and appointed a nurse for Bara. However, the nurse has not been provided with the medication required to combat widespread infections like malaria, for the past six years. As a result, sick villagers do not get adequate treatment and are dying. To educate villagers about the common infectious diseases that affects their village. They will understand what exactly the diseases are (causes and symptoms of the disease). To support villagers by teaching them how to prevent themselves from contracting these common infectious, hence providing them a way to stay healthy. To provide villagers with sufficient medication for the treatment of malaria, along with a few other common diseases. Reduce the number of deaths caused by malaria in the village, and create an environment where people live in peace and happiness; where they no longer have to fear diseases they know little about or worry about insufficient medication to heal their loved ones. This project helped villagers improve their health but also educated them on the diseases that affect them, which will have a long-term benefit and bring peace into the community. It does not only benefit them, but also benefits their surroundings and other persons they will meet. Even though the project appeared simple, it will hopefully have lasting impact on the villagers’ lives. The personal challenge that the team-mates faced was in executing the logistics of the project, since there was no long-term funding. The leaders and volunteers were responsible for the health and related education of the village. This heightened their sense of responsibility. I would like to thank GoMakeADifference for trusting us and giving us the opportunity to help our community. This project has touched all of us.